The Pan Africanist Students Movement of Azania (PASMA), as a custodian and vanguard of the genuine aspirations of students is committed to jealously defend students against the attack of capitalism in the education system, eradicating all these ruthless characters that find host in this system and complement capitalism, these being: neo-colonialism, commoditisation of education, racism and all forms of discrimination. Multitudes of students gather at the PASMA Manifesto launch. With no fear of over simplification, contradiction or rhetoric it is meet that we re-enforce that: Having an SRC is not a privilege for students nor is it a favor from the various management bodies in our Universities to us as students being the major stakeholders of higher education, but rather legislated, statutory entity that is provisioned for in the Higher Education Act 101 of 1997. Every SRC is the supreme body through which students advance their views and fight for what is rightfully theirs, a right to education!!!! Our tireless commitment to the cause of attaining a free, obligatory and quality socialist education in South Africa remains laconic and unwavering, hence we shall continue to be very radical and unapologetic in dealing with any man-made obstacle that manifests itself to the will of the masses. We lament the lip service that has been done by universities on the question of access, insofar as registration is concerned and this does not mean the entire Ministry of education is immune from this despicable act of brutality against the African child, though they purport to be pro students. . Institutional Autonomy and academic freedom is one of the fundamental reasons why an African child is forced to endure this evil act in the lecture halls, residences, sport fields, services, and the entire student populace. 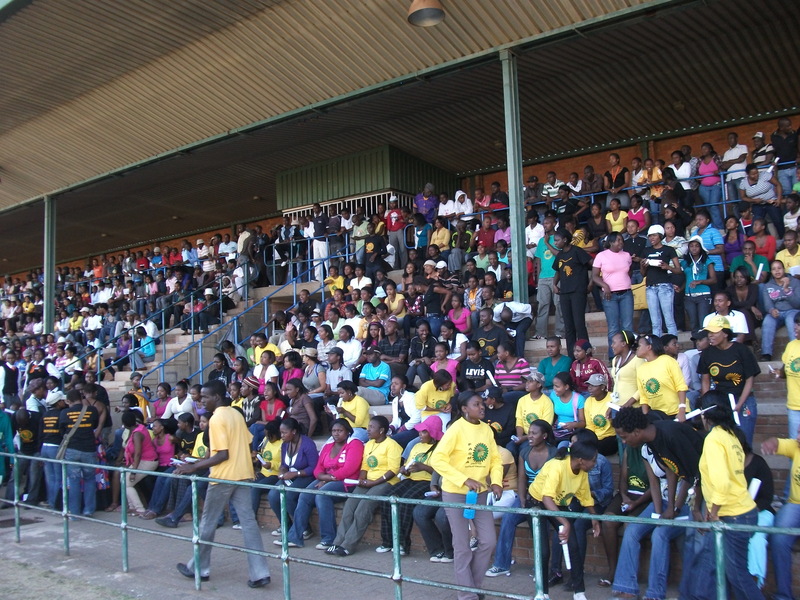 The Pan Africanist Students Movement of Azania regards education as central to the personal development of members of society, as a critical ingredient in the development of our society and as indispensable to the development of our productive forces and capacity and transformation of relations of production and property relations to reflect its commitment to and the attainment of a conscious society, on a socialist basis that engages in production for social needs as opposed to the pursuit of profit and tolerance of greed and cross conspicuous consumption that has no social and moral value in the development of the African student, and society at large. Currently in our universities we are faced with a number of challenges that by the looks of things no ones seems to be concerned enough to tackle them, or no one seems to know the solutions. Our manifesto for 2009/10 SRC elections is embedded in those critical areas being: Lack of accommodation/Residences; University fees and financial Aid; Incompetent senior managers and Vice-Chancellors; Discrimination of students by lecturers and on campus; Language used as a barrier to academic excellence; Victimization of student and leaders in mass protests; Expensive services and poor services e.g. Transport, catering; Unjustified exclusions; Corruption of student leaders (SRC’s); Afrophobia (Xenophobia); Substance abuse and Violence and Rampant Racism. It is crystal clear that a task of this nature can only be bestowed upon the almighty student vanguard, the Pan Africanist Student Movement of Azania (PASMA). This of course is due to our strong conviction to combat all these evils mentioned above and PASMA being tried and tested in many universities across the country before and it is needless to state that we succeeded unscathed. As a student movement, we pledge to remain committed to the cause of liberating the African masses within our domain that currently remain oppressed and traumatized as a result of the commodification of education in this country, and as we ask you to vote for PASMA, we borrow your attention to focus on this overview of our challenges as students and solutions that come thereafter.